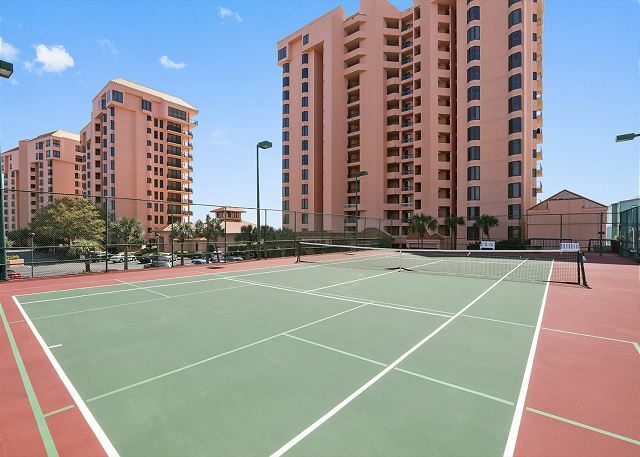 Panoramic views of the Gulf from the master bedroom, living area, and large balcony make this 1342 sq ft 2 bedroom, 2 bath sixth floor condo the perfect place to unwind at the beach. The Coastal Cottage decor with tile and wood flooring and the comfortable teak and rattan balcony furniture are equally suited for a couples' getaway or a family vacation. The well-stocked, fully appointed kitchen includes refrigerator with ice maker, microwave, dishwasher and laundry area with full size washer and dryer. Other features include a work station, TVs and DVD players in the living room and both bedrooms, and a large master bath with whirlpool tub, separate glass enclosed shower, double vanity and lots of closet space. This was the second year in a row that we stayed at the same units... It was more rundown than last year... I wondered why things had not been replaced then I realized it was for sale... It’s still one of the best units at Seachase According to what’s available online... we were tracked it to it due to it being nicely furnished wonderful he decorated and having patio furniture... Once you arrive, it has all the amenities and accommodates to ones needs... 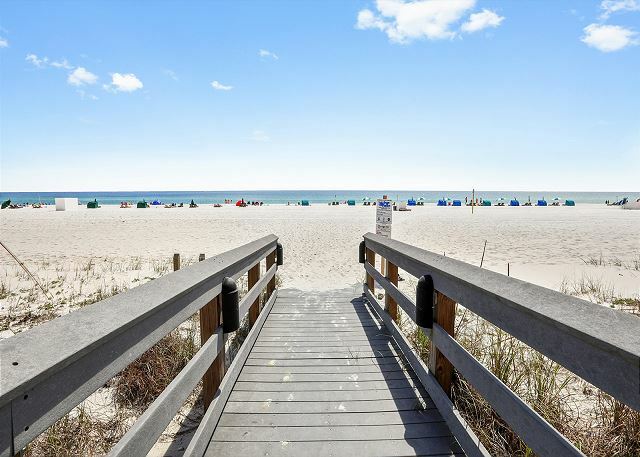 I would recommend the unit if it still available, and I will definitely recommend SeaChase over all... It’s one of the best places at Gulf Shores! Great rental! Updates are great. Comfortable furniture, beds super comfortable. As always the view was amazing. We arrived at Sea Chase only to be told our condo was already occupied. Sea Chase did find us another condo the next day and things improved. The condo we stayed in was beautifully decorated and perfect for our needs. Thank you for choosing the Aronov Gulf Coast team for your SeaChase reservation. We appreciate your feedback and apologize for the confusion. We were unaware that, in spite of an exclusive contract with our company, the condo owner was also renting the condo. We have taken steps to ensure this doesn't happen again and hope to see you at SeaChase again soon! Stay was good only complaint was that the air conditioning would not get below 77 degrees during the day. Beautiful Condo... wonderful location...just a couple of issues. The air mattress in the sofa bed would not inflate... so first night... slept on couch... called main office early the next morning, they said they would send someone up to check it out... no one came..and when we called again, they said they had no messages concerning the mattress... late that afternoon, a wonderful maintenance man came and verified that the air mattress was not working... he said he would bring us an air mattress... which he did the next morning (not his fault, it was close to 4:30 when he came to check out the mattress)... so another night slept on the couch. Another issue was the dryer... it took at least 4-5 times to dry clothes and the towels we had to just let air dry. Overall, I would say we had a wonderful experience, just a couple of issues that would have made the experience even better. Had a wonderful time in mid-July spending 3 nights in this unit in Orange Beach, AL. Beautiful views of the ocean, nice pools, easy access to the beach. Also, very convenient to restaurants and entertainment. Would highly recommend to anyone. We had a great time at Orange Beach and loved the condo. The decor was very modern and clean. We would definitely rent this condo again. Seachase office and gate staff were wonderful as well! It was wonderful! The weather was perfect and no big crowds like in the summer time. We had a wonderful week at Orange Beach. The weather was hot but beautiful. The ocean was calm. We enjoyed seeing dolphins several mornings, even saw a baby shark very near the shore one day. Our condo was fabulous, and we had delicious fried shrimp and fried oysters. Our favorite places were Bahama Bob's and Sea 'N Suds. The 4th celebration at Sea Chase was the BEST! Excellent quality property year after year. Take heed, however, that each condo is furnished and equipped by the individual condo's owner. Pictures on site do not reflect the current condition or presence of assumed items (furniture, kitchenware,cookware, bedding, towels, etc).